New music for bass trombone, including Woodwind Quintet, Percussion, brass ensemble, piano, and all members of the St Louis Symphony. This project involves a new commission for bass trombone and percussion, and features compositions with woodwind quintet, brass ensemble, and an unaccompanied contra bass trombone solo! I've taken advantage of some of the finest musicians anywhere, including many of my colleagues from the St. Louis Symphony. All of the music is new or previously unreleased, and promises to be different than the typical piano and soloist recording. Composers include Martin Kennedy, Hidas Frigyes, Jeffrey Miller, Frank Gulino, Douglas Reader, Rob Deemer, Benjamin Torres. 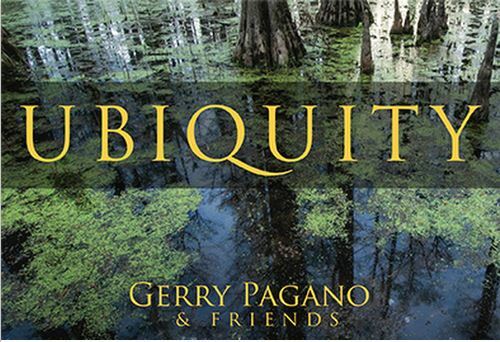 Ubiquity is available for purchase from CD Baby. St. Louis has a rich French heritage, evidenced in our street names such as Laclede, Des Peres, Chouteau and Lafayette. The fleur de lis, historically associated with the French monarchy, remains an enduring symbol of France and its conquests, and has a special significance for the city of St. Louis. It can be seen throughout the city in architecture, flags and business logos. 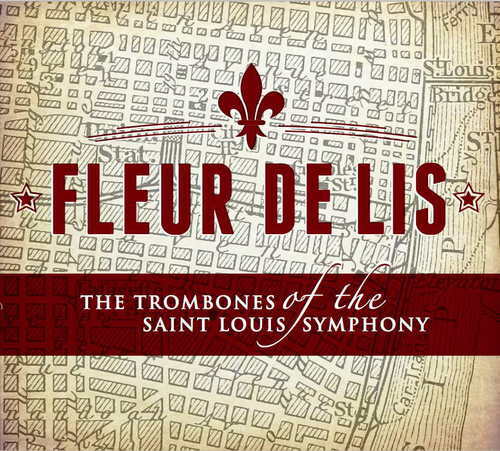 In this album there is a connection to this heritage through music by French composers Dukas and Charpentier, and the New Orleans-inspired New Life Suite, another city associated with the fleur de lis. With the exception of the Charpentier, all of the pieces on this CD were either written for or arranged by The Trombones of The St. Louis Symphony. One of our goals has been to promote new music, so we are happy to present two premieres. Collaborating with these composers has been a tremendous experience. The other works on this album consist of popular works for orchestra or piano that we arranged ourselves for trombone quartet, exercising our creativity. Each piece has significance for us as a group and as individuals, in much the same way as we approach our concept of sound - with room for each voice and its special nature, and yet a dedication to the whole. We wish you well as you travel up the Mississippi and land at our door. Bon Voyage! Fleur De Lis is available for purchase from CD Baby. In Retrospect from STLLBC Board member Brett Stamps. In Retrospect CD is available for purchase from www.cdbaby.com. 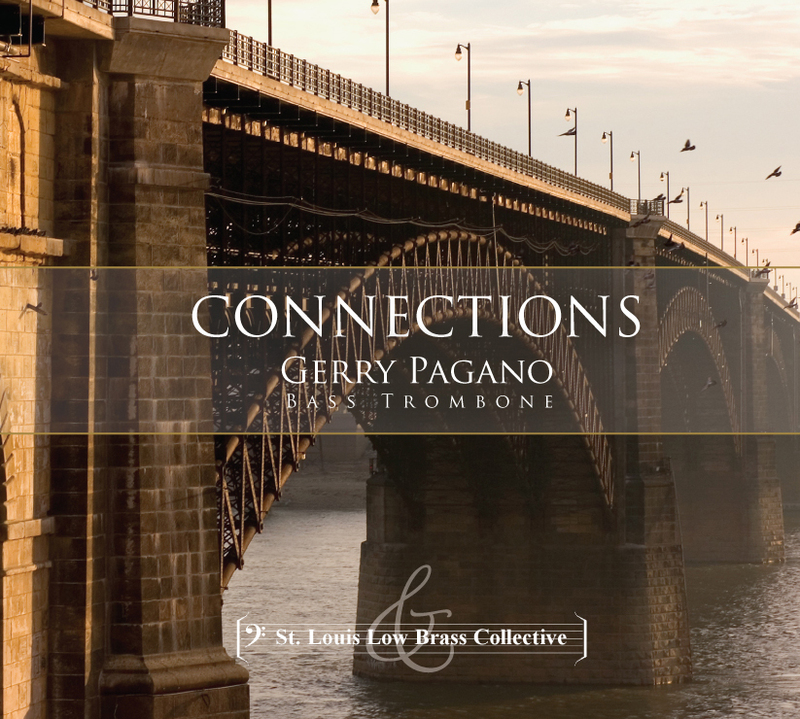 Connections by STLLBC Founder and Bass Trombonist for the SLSO, Gerry Pagano. 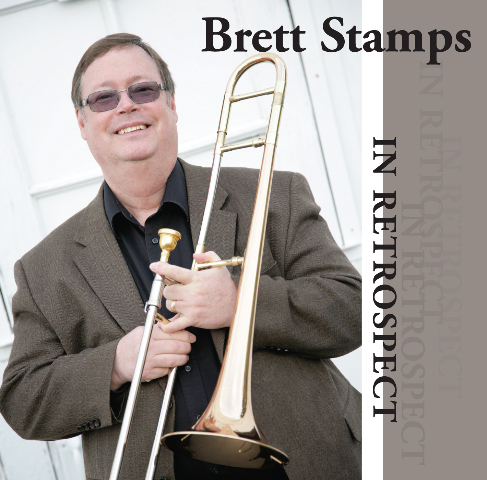 Connections features the St. Louis Low Brass Collective, The Trombones of the St. Louis Symphony, pianist Peter Henderson, and never before recorded music for trombone quartet, brass quintet, low brass ensemble, and the 2010 bass trombone solo written for Gerry Pagano, Sonata Rhapsody "the Arch"! Connections was named as one of the top 11 CDs of 2011 by Sarah Bryan Miller The St. Louis Post-Dispatch Classical Music Critic! The Connections CD is available for purchase from AAM Recordings. You can purchase it at any STLLBC events or from www.cdbaby.com. 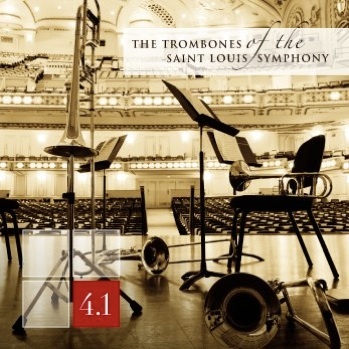 4.1, the CD by The Trombones of The St. Louis Symphony was recorded in September 2008, and released in March 2010, includes my former colleague, Steve Lange, now of the Boston Symphony. This was our first full recording as a trombone quartet. 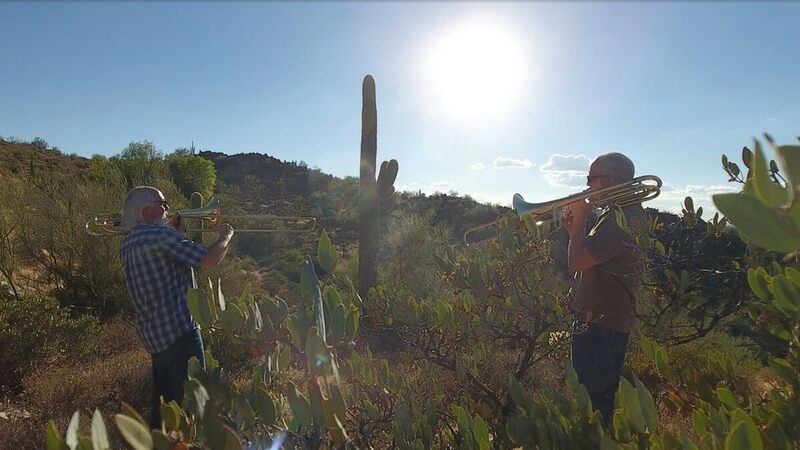 We included music from the standard trombone repertoire that we felt we had something to say about. Also, original in the trombone quartet literature, is Conrad Henning's beautiful transcription of Francis Poulenc's Four Prayers of St. Francis of Assisi. 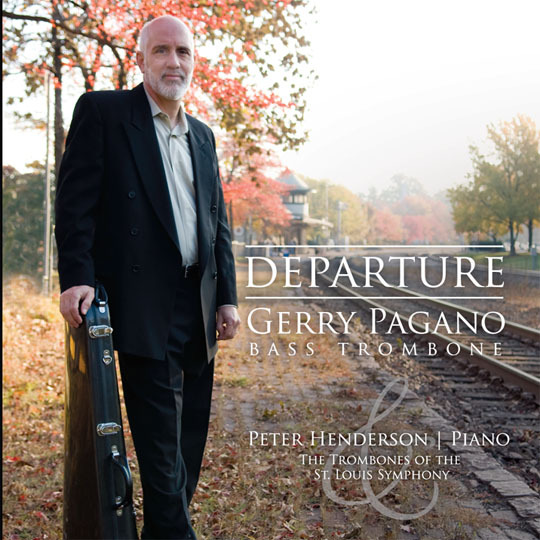 STLLBC Founder and Bass Trombonist for the SLSO Gerry Pagano's Departure CD. "Gerry Pagano has played bass trombone in the St. Louis Symphony Orchestra since 1995; he's an integral part of the orchestra's brass sound. In "Departure," he steps out with some transcriptions . mostly music originally composed for voice or cello . that surprise and delight with beautiful singing tone. Highlights include four of Mahler's "Songs of a Wayfarer" (here confusingly called "Songs of a Journeyman") and the Vaughan Williams Concerto for Bass Tuba. He has a little help from his friends in the trombone section, and sterling accompaniment from pianist Peter Henderson. This set of departures is well worth hearing." The Departure CD is available for purchase from AAM Recordings. For More information visit gerrypagano.org.